As hunters and fishermen, we have a need to tell stories. It has always been so, since the beginning of recorded time. 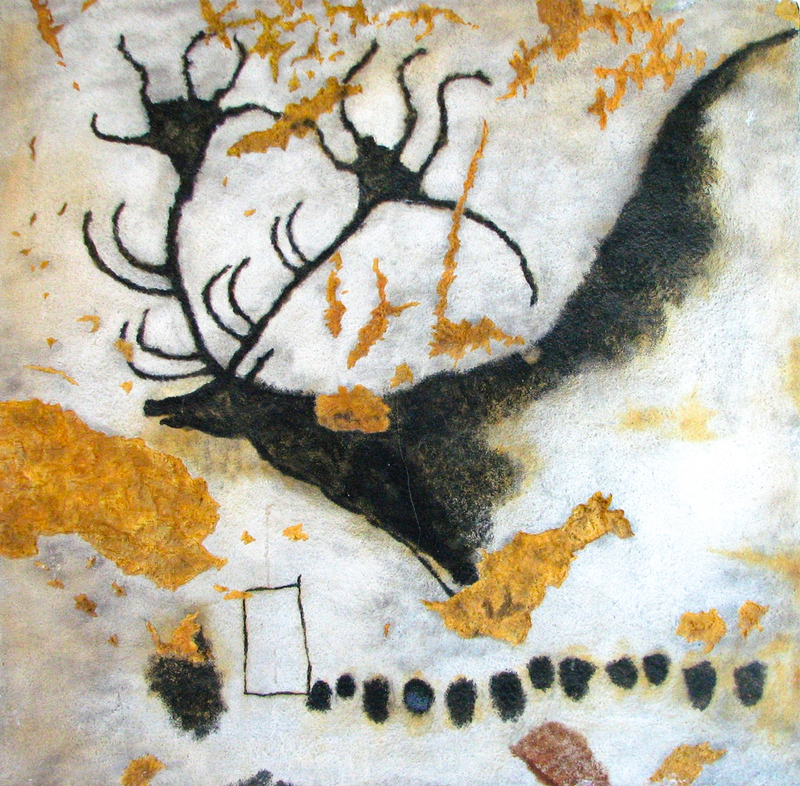 The first stories that humans ever told, that we are aware of, are recorded in the pictographs painted on the cave walls of Lascaux in southwestern France. They are more than 20,000 years old. They do not tell stories of love or war, or of politics or philosophy. They tell stories of hunting. Paleolithic scholars believe that some of these drawings of bison, cats, bear and rhinoceros are accounts of past hunting successes and are a mystic ritual to improve the chances for success in future hunts. As outdoor writers, this is the tradition we come from. Our Paleolithic ancestors were the first storytellers. The need to tell our stories, to record them so that others might read them and learn from them and draw inspiration from them, is one of the oldest human impulses. It began with cave art and the oral tradition. As we developed written language, our hunting and fishing stories became narratives on pages made of papyrus, wasp nests, and finally wood paper. Narrative writing does not have to instruct, though it can instruct. It does not need to illuminate larger issues or reveal fundamental human truths, though the best of it can do that too. Its primary purpose is simply to tell a story. One of the greatest fishing stories I ever read was written by Roderick Haig Brown and began something like this: “I’ve told this story before in different ways but as it is the best story I know . . .” –he then proceeds to talk about trolling in a rowboat for king salmon in a place where nobody had caught salmon before. There is no moral to his story except the unwritten one, that the best fishing, and hunting, too, has a sense of discovery at its core. Nobody wants to read a story about fishing for hire, a man casting his line where a finger points, or a man pressing the trigger after the guide has done all the real hunting. The gun writer Elmer Keith wrote one of the best hunting stories I ever read, and it was just his account of one soggy, rainy day’s hunt up on the Lochsa River in Idaho. Keith is the only one in the story, turning the bowl of his pipe down so the rain won’t put it out, and tracking elk, killing elk, and dressing them out in the dark, providing winter meat for his family and the families of those other hunters back in camp. Keith wrote stories as if he was telling them to a friend and in fact in his later years his stories were dictated. His detractors, and there were many, fault him for being ungrammatical and not having the slightest idea how to use punctuation, that compared to someone who had real writing skills like his nemesis Jack O’Connor, the late great gun editor of Outdoor Life, Keith was a very poor writer. They entirely miss the point. Good writing may accompany good storytelling, as it does in Haig-Brown’s stories but isn’t necessary. A raw story, told straight, like Elmer Keith’s, is often better and more memorable than an elegant story that lacks narrative drive. The skill is not in the perfect crafting of sentences, but what those sentences say, the art of storytelling. “Will you have lime juice or lemon squash?” Macomber asked. “I’ll have a gimlet,” Robert Wilson told him. “I’ll have a gimlet too. I need something,” Macomber’s wife said. The mess boy had started them already, lifting the bottles out of the canvas cooling bags that sweated wet in the wind that blew through the trees that shaded the tents. Francis Macomber had, half an hour before, been carried to his tent from the edge of the camp in triumph on the arms and shoulders of the cook, the personal boys, the skinner and the porters. The gun-bearers had taken no part in the demonstration. When the native boys put him down at the door of his tent, he had shaken all their hands, received their congratulations, and then gone into the tent and sat on the bed until his wife came in. She did not speak to him when she came in and he left the tent at once to wash his face and hands in the portable wash basin outside and go over to the dining tent to sit in a comfortable canvas chair in the breeze and the shade. Mrs. Macomber looked at Wilson quickly. She was an extremely handsome and well-kept woman of the beauty and social position which had, five years before, commanded five thousand dollars as the price of endorsing, with photographs, a beauty product which she had never used. She had been married to Francis Macomber for eleven years. “He is a good lion, isn’t he?” Macomber said. His wife looked at him now. She looked at both these men as though she had never seen them before. One, Wilson, the white hunter, she knew she had never truly seen before. He was about middle height with sandy hair, a stubby mustache, a very red face and extremely cold blue eyes with faint white wrinkles at the corners that grooved merrily when he smiled. He smiled at her now and she looked away from his face at the way his shoulders sloped in the loose tunic he wore with the four big cartridges held in loops where the left breast pocket should have been, at his big brown hands, his old slacks, his very dirty boots and back to his red face again. She noticed where the baked red of his face stopped in a white line that marked the circle left by his Stetson hat that hung now from one of the pegs of the tent pole. “Well, here’s to the lion,” Robert Wilson said. He smiled at her again and, not smiling, she looked curiously at her husband. Francis Macomber was very tall, very well built if you did not mind that length of bone, dark, his hair cropped like an oarsman, rather thin-lipped, and was considered handsome. He was dressed in the same sort of safari clothes that Wilson wore except that his were new, he was thirty-five years old, kept himself very fit, was good at court games, had a number of big-game fishing records, and had just shown himself, very publicly, to be a coward. In those short paragraphs, Hemingway introduces three vividly drawn characters and sets the stage for the unfolding of the story. A man has turned and run when charged by a lion. From here the story will flash back to the hunt for the lion, and then forward to the next day when Macomber must face his demons and try to resurrect his manhood while hunting Cape buffalo. It is a story of redemption. It is not only a great hunting story. It is a great story, and widely considered one of the most perfectly crafted short stories written in the English language. Now, what does this story share with the other two I’ve mentioned, besides artistic merit and the subject matter? There are two things all these stories have in common that strike to the heart of great narrative writing. The first is that all three are fiction. “The Short Happy Life” was inspired by a story Hemingway heard about a titled European woman who accidentally shot her husband while on safari, and the white hunter, Robert Wilson, was based on two professional hunters who were friends of Hemingway, Philip Perceival and Bror Blixen. But the story itself came about in the customary manner—one person shutting a door and stringing together lies summoned from the ether. That’s not to say that all great writing has to be fiction—but all great writing draws from fiction; it relies on fiction techniques. This shouldn’t come as a big surprise, for if it is true that ancient hunters and fisherman were the first storytellers, I’m guessing it is equally true that they were the first liars. I can image some cave man finding a mountain goat that was killed in a rock slide and dragging it home to his cavewoman and while she cooks it, painting a picture on the rock wall showing the goat charging and the hunter standing firm with his spear. And her shrieking, “Liar! Liar! Liar!” like the wife of Miracle Max in The Princess Bride when he’s trying to breathe life back into the Man in Black with a bellows stuck down his throat. And let’s face it, has that really changed in 20,000 years? Who amongst us can honestly say that no one has ever accused him of stretching the truth in print, or at least around the campfire? Where I live in Montana, I hear stories about 20-inch trout being caught every day of the season; I’ve seen some of those 20-inch trout, which invariably grow to 22 inches by the second telling, and they were 17 inches. Honest 20-inch trout, unless you fish at night, come to the net once or maybe twice a summer. We are natural born liars. And this isn’t something to be ashamed about. In fact, it’s to our advantage. It gives us a leg up on other writers, those soulless city dwellers who read literature in which nothing ever happens but bad behavior and then, when they try to emulate it, find they may have ink, but what their pens lack is blood. I have a friend, Barbara Peters, who owns the Poisoned Pen Press and The Poisoned Pen Mystery Bookstore in Scottsdale, Arizona. Barbara has mentored a great many writers over the years and likes to say that a story that doesn’t work can be fixed, but that there’s no cure for a boring writer. You’re either interesting and vital or you aren’t, and we hunters and fishermen have the right stuff. It’s in our DNA. All we have to do is get out of way of ourselves and let the stories we were born to tell find their way onto the page. Now, there’s something else the three stories I mentioned have in common: They’re old. Really old. “Big-Two Hearted River” was written in the 1920s. “The Short Happy Life” was written in the mid ’30s. “The Bear” was first published in 1942. Great hunting and fishing stories, fiction or fact, endure. To my mind, the greatest true hunting stories ever written were Jim Corbett’s tales of man-eating tigers and leopards. I was six weeks in India following his footsteps. Much of Jim Corbett’s India no longer exists. Most of the tiger habitat in the India Corbett knew is no more, and in many areas the tiger itself has disappeared into the realm of myth. But the stories in “Man-eaters of Kumaon” are as thrilling to read today as they ever were. The greatest reading experience of my life happened when our Volkswagen bus broke down when my family was on a camping trip in the Rocky Mountains. We had to be towed into Denver to get a new engine put in the van. I was nine years old, and at one point, my mom dropped me off in a public library to read for a couple hours. My dad had told me about Jim Corbett and I found one of his books in the library. I thought I’d only have time to read one story, so I chose the longest one in the book, which was “The Talla Des Man-eater.” On that first trip west from our home in Appalachia, I caught my first decent-sized trout, saw my first bear, saw the sun come up to illuminate my first ever mountains. But what I remember most is reading the story of a man with an abscess that threatened to explode inside his brain, who was in so much pain he could no longer sleep, and who, with one eye squeezed shut and his right eardrum destroyed, hunted on foot and alone, at night as well as by day a man-eating tiger in the foothills of the Himalayas. I opened that book wanting to lead a life of great adventure. I closed it wanting to write about it. I think what I’m trying to say is that the craft of narrative writing matters. It has the power to move us in ways that other forms of outdoor writing can’t and the best of it is timeless. Read an article about how to catch fish and it is out of date in ten months. Read a piece about where to hunt elk and there may be no elk there by the time you shoulder your pack. Stories about gear are outdated before they are published (in hardcopy, anyway). But read a great story and it stays with you the rest of your life. It doesn’t matter if you can’t recall where you read it or that the magazine you read it in has been composted and the paper returned to the earth. It is alive in your mind. When you are the writer of the story, it takes on yet another dimension. It becomes a record of those times in your life when you lived most fully. I have never kept a journal, I wish I had, but I’ve written hundreds of stories and they run together to form of diary. Those stories are what I read aloud, hour after hour, as my father lay in his death bed, hoping but uncertain that he heard them, and those stories are the legacy I will pass to my children. This is who your father was. This is who his father was. This is what I thought about taking you hunting and fishing with me, before you were ever born. Take what you will from them. So, that’s my pitch. That’s why I believe that outdoor writers need to pay attention to the narrative as our highest and only enduring form of art, and it’s why the editors who are so fixated on service articles should shake some of the leaves of “how-to” and “where-to-go” and “what-to-buy” to the ground, so that they can see the tree standing behind them, the one form of outdoor writing that has roots, and find some space to run our stories. This essay first appeared in The Deadwater Blog. Keith McCafferty is the author of the Sean Stranahan detective series The Royal Wulff Murders and The Gray Ghost Murders. He is also the Survival Editor at Field & Stream Magazine. His website is KeithMcCafferty.com.